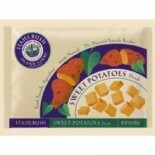 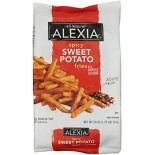 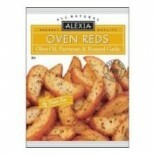 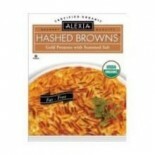 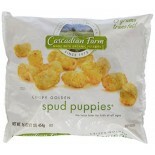 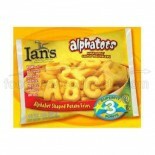 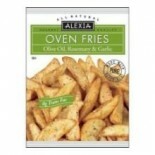 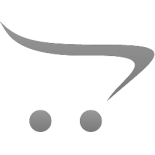 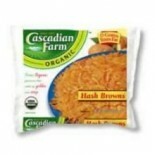 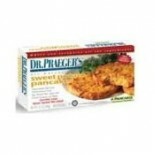 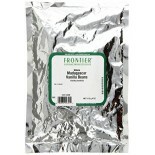 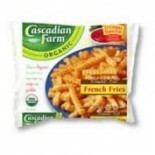 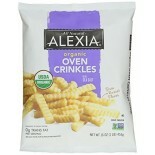 Attributes: Natural or Organic Ingredients, Non-GMO Project VerifiedIngredients: Organic Sweet Potatoes.. 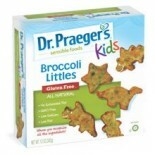 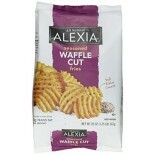 Attributes: Natural or Organic IngredientsIngredients: Organic potatoes, oprganic high oleic safflower oil, organic palm oil, organic apple juice concentrate (to promote oven browning), and citric acid (to preserve natural potato color).Nutritions: Calcium(0), Calories(140), Cholesterol(0), Dietaryf.. 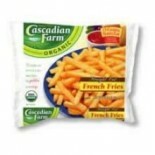 Attributes: Natural or Organic IngredientsIngredients: Organic potatoes, organic high oleic safflower oil, contains less than 2% organic palm oil, organic apple juice concentrate (to promote oven browning), and citric acid (to preserve natural potato color).Nutritions: Calcium(0), Calories(130), Cho.. 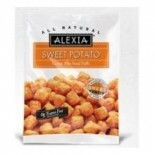 Attributes: Kosher, Natural or Organic IngredientsIngredients: Organic potatoes, canola oil, apple juice concentrate, citric acid.Nutritions: Calcium(1), Calories(200), Cholesterol(0), Dietaryfiber(2), Fromfat(70), Iron(6), Protein(2), Saturatedfat(2), Servingscontainer(N/A), Servingsize(3 oz), Sodi.. 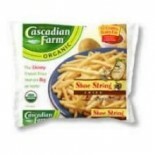 Attributes: Kosher, Natural or Organic Ingredients, Non-GMO Project VerifiedIngredients: Certified organically grown potatoes, citric acid, apple juice concentrate.Nutritions: Calcium(0), Calories(70), Cholesterol(0), Dietaryfiber(2), Fromfat(N/A), Iron(4), Protein(2), Saturatedfat(N/A), Servingscon.. 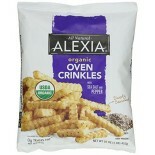 Attributes: Kosher, Natural or Organic IngredientsIngredients: Organic Potatoes, Organic High Oleic Safflower Oil, Organic Palm Oil, Sea Salt, Organic Corn Flour, Organic Dehydrated Potato, Organic Apple Juice Concentrate (To Promote Oven Browning), Citric Acid (To Preserve Natural Potato Color).Nut.. 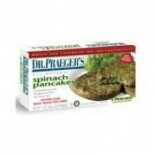 Attributes: Gluten Free, Natural or Organic Ingredients, Non-GMO Project VerifiedIngredients: Spinach, potatoes, onions, egg whites, potato flakes, expeller pressed canola oil, arrowroot, salt, garlic.Nutritions: Calcium(1), Calories(45), Cholesterol(0), Dietaryfiber(.. 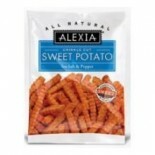 Attributes: Gluten Free, Low Salt / Low Sodium / Reduced Sodium, Natural or Organic Ingredients, Non-GMO Project VerifiedIngredients: Sweet potatoes, egg whties, potato flakes, onions, expeller pressed canola oil, arrowroot, brown sugar, salt, pepper.Nutritions: Calcium(1), Calories(60), Cholesterol.. 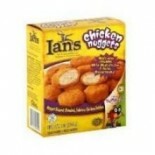 Attributes: Gluten Free, Natural or Organic Ingredients, Wheat FreeIngredients: Chicken Nuggets (skinless, boneless, no added antibiotic or hormone chicken breast with rib meat, canola oil, potato flakes, water, sea salt), coated with batter (water, yellow corn flour, corn starch, baking powder, ga.. 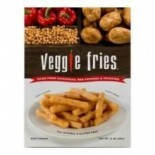 Attributes: Dairy Free, Gluten Free, Natural or Organic Ingredients, Non-GMO Project Verified , Wheat FreeIngredients: Potatoes, canola oil, rice starch, salt and methyl cellulose (natural thickener).Nutritions: Calcium(8), Calories(155), Cholesterol(0), Dietaryfiber(5), Fromfat(60), Iron(4), Protei.. 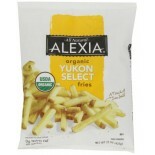 Attributes: Low Salt / Low Sodium / Reduced Sodium, Natural or Organic Ingredients, Non-GMO Project VerifiedIngredients: Potatoes, Broccoli, Water, White Beans, Sunflower Oil and/or Non-GMO Canola Oil, Corn Starch, Potato Starch, Tapioca Starch, Rice Flour, Sea Salt, Locust Bean Gum, Xanthan Gum, Ta.. 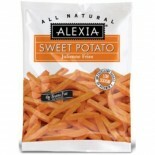 Attributes: Low Salt / Low Sodium / Reduced Sodium, Natural or Organic Ingredients, Non-GMO Project VerifiedIngredients: Potatoes, Carrots, Water, White Beans, Sunflower Oil and/or Non-GMO Canola Oil, Corn Starch, Potato Starch, Tapioca Starch, Rice Flour, Sea Salt, Locust Bean Gum, Xanthan Gum, Tap.. 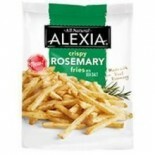 Attributes: Low Salt / Low Sodium / Reduced Sodium, Natural or Organic Ingredients, Non-GMO Project VerifiedIngredients: Potatoes, Chickpeas, Water, Sunflower Oil and/or Non-GMO Canola Oil, Red Bell Pepper, Corn Starch, Potato Starch, Tapioca Starch, Rice Flour, Sea Salt, Locust Bean Gum, Xanthan Gu.. 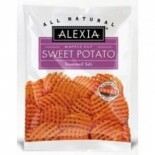 Attributes: Low Salt / Low Sodium / Reduced Sodium, Natural or Organic Ingredients, Non-GMO Project VerifiedIngredients: Potatoes, White Beans, Water, Sunflower Oil and/or Non-GMO Canola Oil, Red Bell Pepper, Corn Starch, Potato Starch, Tapioca Starch, Rice Flour, Sea Salt, Locust Bean Gum, Xanthan ..